Magnificent custom built French Chateau. Set off the street on a private shared driveway, this opulent estate is loaded with attention to detail at every turn. Step through the period wood double doors and whisk away in the glamour of the soaring ceilings, custom Douglas Fir wide plank floors. 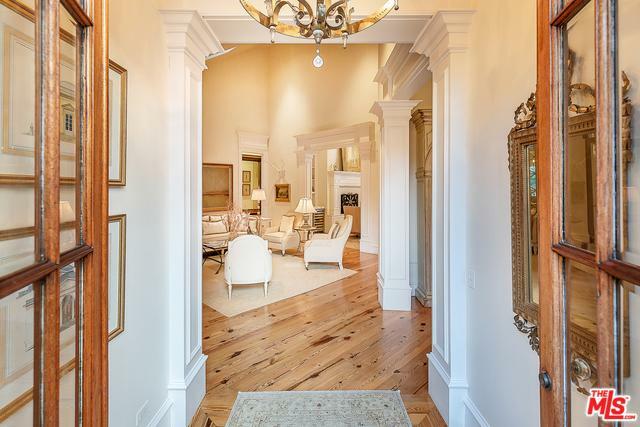 The formal living room anchored in the middle of the house, connects to the formal dining room, dream kitchen with custom cabinetry, high-end professional appliances, breakfast area and family room, all open to the manicured back yard. This is an entertainer's dream come true. An outdoor dining area, pool and an outdoor fireplace add to the storybook setting. 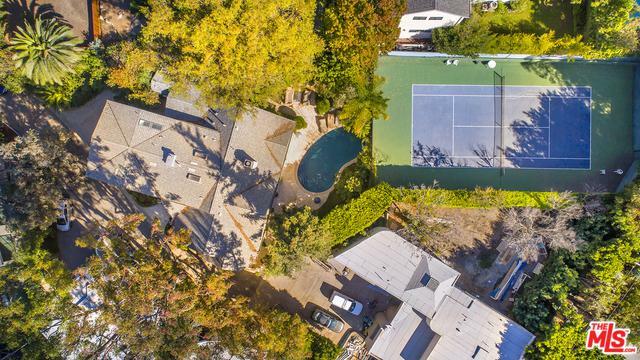 An extra bonus is the full-size tennis court! The master suite has dual bathrooms. There are 2 additional en-suite bedrooms on the main level. The upper level has 2 en-suite bedrooms and share a great TV room. This is a must see to appreciate the craftsmanship and quality of the designer finishes. Also available for rent - furnished. Listing provided courtesy of Bjorn Farrugia of Hilton & Hyland.